Persol 2747 - Black w/ G15 Polarized Need Help? The Persol 2737 is a classic, well proportioned rectangular design. Handmade in Italy using Italian acetate, it features Persol's signature supreme arrow, 5-barrel hinges for support and durability, and glass polarized lenses providing superb optics in any condition. 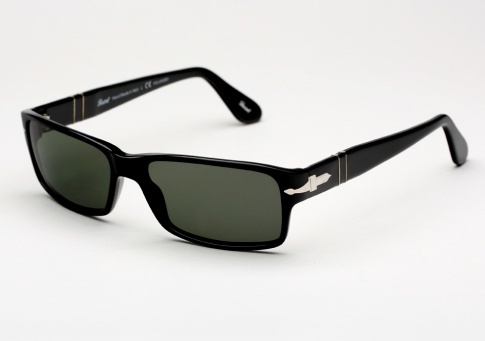 It is offered here in black with G15(grey green) polarized lenses.